South Korea: New plant-based meat product is becoming an instant hit in the country. Kill the Dog Meat Trade ! South Korea is not an exception from the growing global trend of vegetarian diets with a newly imported plant-based meat product becoming an instant hit in the country. 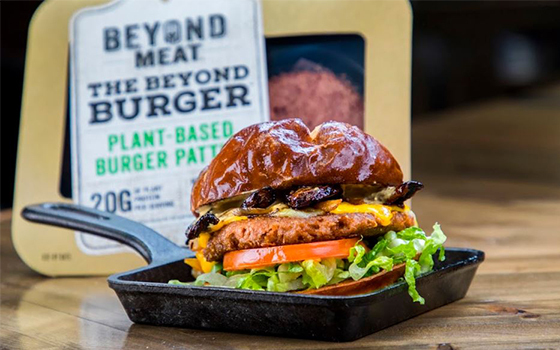 According to multiple sources from the industry on Sunday, about 10,000 packages of meat-free patty product of Los Angeles, CA-based Beyond Meat were sold in just one month after being introduced to Korean consumers last month. Several online malls including Dongwon Mall and Gmarket started offering Beyond Meat’s plant-based meat products, as well as four vegan restaurants. An official from Dongwon F&B Co., the exclusive supplier of Beyond Meat products in Korea, said that the brand has been well received in the marketplace given that it offers specially targeted products and are sold online. Click on the above link to read more ……. WAV Comment – Sounds good; all they need to do now is stop the dog meat trade and it will be very much better ! Canada: 9/4/19 – The Seal Hunt Has Begun.